My friends, it is important to remember that it does not take an elopement for you to have a professional photographer take beautiful photos of you and your significant other in a stunning location. Couple, proposal, engagement, and maternity sessions can be booked with me as an adventure session. On the other hand, maybe you did get married at a venue and you still want wedding photos in one of these beautiful places! You can book an adventure session as a day after or honey moon session as well. This is also a great gift idea for your partner on your one year wedding anniversary! An adventure that starts the rest of your life..
Meet Tori and Matt, a truly adventurous couple. They moved to Phoenix from Pennsylvania several years ago. Together they are a smart power couple and lovers of the great outdoors. I couldn't help but smile behind my camera at their sweet giggles to each other. The North Algodones Dunes are located in Southern California, and while it is typically being torn apart by off road vehicles, we had an entire day almost to ourselves in its beauty. I absolutely love my elopement couples! The memories, stories and dreams of future adventures are always awe inspiring to me. From the first look to the challenge of conquering the "trail" to breathtaking photos, elopements are like any other day in their lives together. Eloping allows the couple to start the rest of their lives together stress-free and experience a meaningful day completely their way. When you're planning your elopement, it is important to understand what exactly the day will entail. For example, if you're eloping in the North Algodones Dunes in the summer months, it is very hot. You will need breaks for water and food and the proper shoes for the hot sand. The photos above give you an idea of expectations versus reality. Yes, it is beautiful and you're going to have an amazing day, but it is not easy. If you're thinking of eloping do not hesitate to ask me as your photographer to help you plan the day, it is important to know the location/trails, the limitations on permits, access within the park, the weather conditions, and tips on leaving no trace behind! You can imagine my excitement as an avid hiker and believer in what REI provides for the outdoor folks when Matt parked on location, opened the trunk and said “So, we brought all of our hiking and camping gear and we would like to take a photo with it.” Matt explained that they were always prepared for an adventure when they were doing road trips, so they threw everything in the car even though they were prepared to spend the next couple of nights in San Diego at a hotel. Even though their packs were filled with books they're reading, rather than things needed for survival on the trail, it just reminds me of how precious it is that adventurous couples have the option to get married in their most natural state together, outdoors exploring. Outside of the experience, it also really warms my heart that couples can leave their wedding day knowing they will receive images that they would be proud to print and have on their walls. If you are planning to elope I would love to hear from you! Thank you to Make Up Artist, Bonnie with Blush Artistry out of Phoenix, Arizona! You have read my blogs about Smith Rock, Iceland, California and other travels, but I wanted to share where all this started. During the Summer of 2016 the MPP team took a trip to Olympic National Park to camp and hike for three days after the Women’s KPMG Championship. During this trip we spent time car camping and hiking in the rainforest, hiking along the coast in La Push to Hole-in-the-Rock and trekking around with deer in the snowy mountains of Hurricane Ridge. We enjoyed local ciders we bought form little local nooks, watched sunsets from the coast, stopped to see the rainbow going across the clear lake and hugged trees larger than you could imagine! I can honestly say that this trip changed my whole life, it was the first tilt to many small shifts to come over the next three years. It sparked this intense desire to spend more time outdoors hiking and camping. It gave me this longing to go see the National Parks and learn more about these places and ther history. Being surrounded by this park’s natural beauty made me feel more at peace than I ever had in my life. It blossomed this wonder I already had for traveling and exploring to a full blown need. Soon after, I learned about modern day elopements and boom another small shift! I saw a these stunning photos of couples in these massive mountains, along beautiful beaches and having these beautiful emotional ceremonies together. I enjoyed my job with the MPP team, but I was missing connection and working with couples. I decided to check this out and found a couple still looking for a photographer for their elopement during my time in Iceland. I photographed a couple from London’s intimate elopement on my first day in Iceland was hooked! I absolutely love elopements; not only because they are often in stunning places in the world like the Olympic National Park, but also to give couples a chance to have a wedding that is just what they want, stress free and a space to really share a special day together. I hope you enjoy these images from what started it all for me! General places I am available for hire for elopements: Arizona, California, Utah, Oregon, Washington, Iceland, etc. 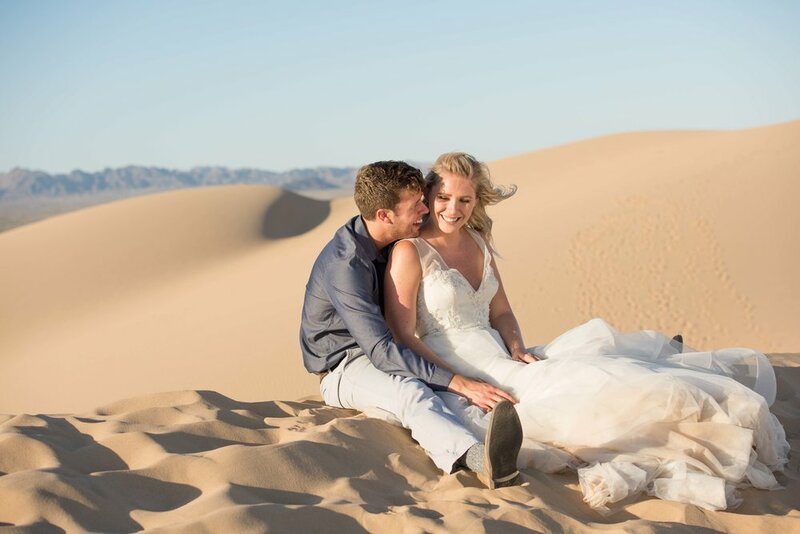 Specific places I a available for hire for elopements: Sedona, Grand Canyon, Horse Shoe bend, Smith Rock, Vik, Olympic National Park, Joshua Tree, Sand dunes in southern Cali, Torrey pines, etc. A week or so I got a call from the owner of Cali Diamond out in my favorite state, California, to do a shoot for her brand. I was super excited to shoot an edgy brand with bold looks. In the rare occasion that Florida had an entire week of rain and black skies we managed to catch a good couple of hours on Boynton Beach with soft light and dramatic skies. If you get the chance you should check out their stuff on their website or the etsy shop! Also, big shoutout to Kylee for adventuring out on an early Saturday morning! By now I am sure that most of you are wondering what Natural Coexistence is really all about. I will save you all the details, but if you want more information after this post please read my artist statement and/or contact me. This series is all about breaking the barriers of everything between us as humans and the Earth that supports us. While photographing the series, seeing the people that pose for the images in their most vulnerable state and embracing it has also meant a lot to me. Recently I had the oppurtunity to show a few of the pieces from the series, that were shot in Joshua Tree, in the Modern Show at Studio 1608. Below are the images that were in the show. If you would like to see the work in person the closing of the show will be the evening of April 22nd at 1608 S Dixie Hwy in West Palm Beach, FL.